Entrepreneurs make the (business) world go around. They are known for their vision which is often on target. However, many subscribe to the concept of “ready, fire, aim”. An early conversation with PrayWorks while your vision is still literally on the back of an envelope, can assist you to make the right call…..this helps avoid the lament “If I had only known that a few months back”. Dave can also, using his deep rolodex, bring other knowledgeable partners to the table to provide early information that becomes so valuable to Ownership. 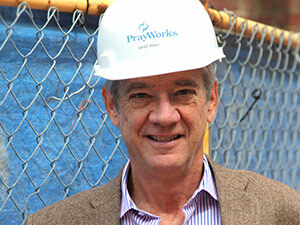 Dave Pray brings over 40 years of experience in the building industry along with his experience as a previous Adizes associate . Creating a solid foundation through early stage advisement and consulting can help you maximize the return on investment in your next building project. We believe in Ready, Aim, FIRE! Build processes – An experienced consultant can build processes for efficient hand-offs among design professionals, contractors, and trade partners, setting all teams up to meet their deadlines. Save money – Early stage advisement can bring the right people together early in the process, eliminating inefficiency and the need for rework later on. Maximize value – A consultant with industry experience knows how to maximize the knowledge and skills that each stakeholder brings to a building project, with the goal of creating the best possible result for all parties involved.